ASL Forgotten War Korea: 1950 – 1953 – Attenzionen!!! 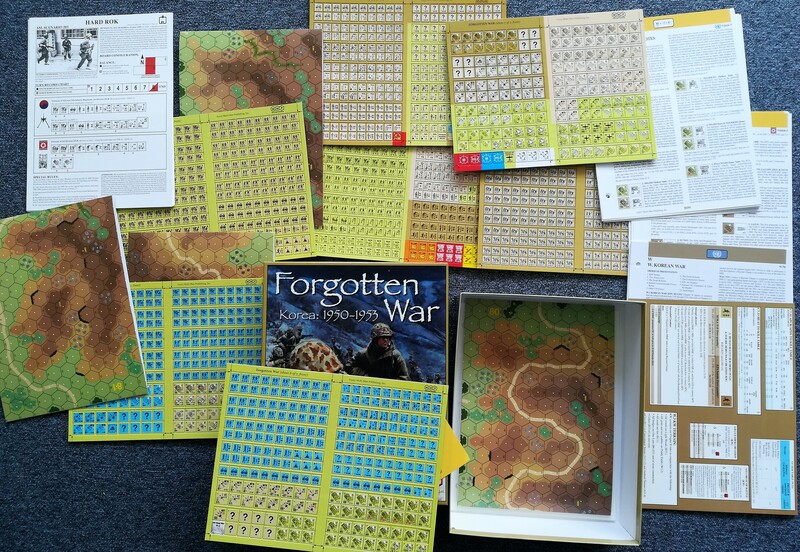 So finally here comes Forgotten War Korea: 1950 – 1953, the newest ASL core module. I was somewhat uncertain whether to obtain a copy. But I like playing ASL and I dislike not having the boards to play with. What to expect from the scenarios and the period specific rules I do not know. What little I know of this war is mostly from a few books and movies. The television series M.A.S.H. 4077 springs to mind, also the book and movie The Bridges at Toko-Ri, the war drama Men at War, and the Korean movie The Brotherhood of War. Latter is probably a must for the discerned war games who is also interested in the historical background. There is actually a list of movies on the Korean War available on the internet. One book I will want to read is The Bridge at No Gun Ri: A Hidden Nightmare from the Korean War where units of the 7th U.S. Cavalry Regiment massacred some 300 Korean refugees. As war gamers interested in military history we should understand that there is no clean war. All mankind suffers from the carnage and inhuman actions that are done in wars. Its our responsibility to recall that in the real world there is no better way to live but in peace.